Welcome to UBC! We look forward to meeting you. Please join us at our Fall Dinner Reception on September 18 at 6:00 p.m. in the Graduate Student Centre, Thea’s Lounge. Or we could meet for coffee at your convenience. GCU draws people from many countries and many disciplines to create a home away from home. A good support group is essential. It was delightful to meet so many wonderful people at the GSS Clubs Fair on Friday. We had some very interesting conversation amidst the excitement of a new adventure in education. Did you know that there are now 10,000 postgraduate students at UBC, virtually a university within a university? You have made a good choice to study here with great mentors and excellent libraries. It is one of the premier research institutions in Canada. Now it is your home for the next few years. Well done! 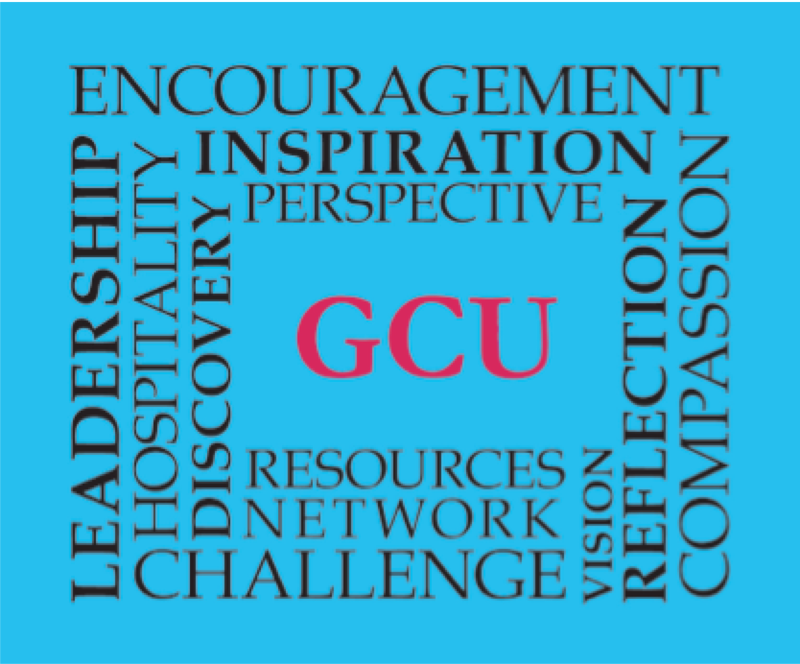 Within GCU, we are here to develop a strong network, new friendships and help you flourish as a grad student. We believe in both a robust Christian faith journey and a dedicated academic pursuit. We also love dialogue with people of different persuasions. This combination can be quite dynamic and inspiring. The questions from academic life can be brought to the Scriptures and the study of the Bible can inform our academic work in surprising and life-giving ways. We work to develop a community of mutual support, where vision and ideas are shared and cherished. GCU wants to be a resource of good reading and support from faculty as well. On our Blog ubcgcu.org, we post articles from faculty, other students and Dr. Gordon Carkner to stimulate reflection and discussion, along with suggestions for further exploration. It can be a tremendous boon for your thinking and work. Because we are interdisciplinary, that creates a lively conversation as people bring their wealth of knowledge and experience of the world together. Overall, we work towards a better (more human) world and becoming better people (grow in the virtues) as a result of our time at UBC. 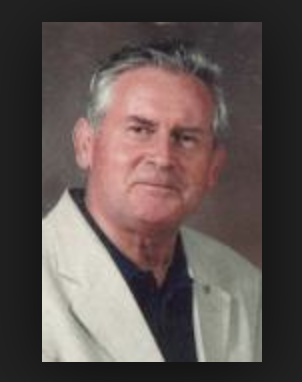 Our previous university president, Stephen Toop, reminded us that graduate students are in preparation for global citizenship, which is both exciting and a deep personal challenge. GCU September Events: We mentioned the Fall Reception at Thea’s Lounge, Grad Student Center on Thursday, September 18 at 6 pm. 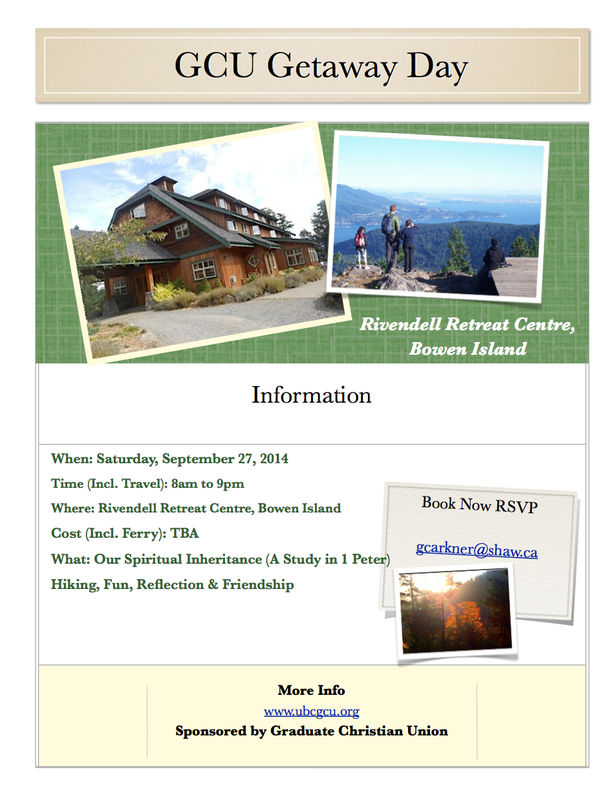 We have a Getaway Day planned for September 27 on nearby beautiful Bowen Island, Rivindell Retreat Center. That will include a hike and an intensive study of I Peter. 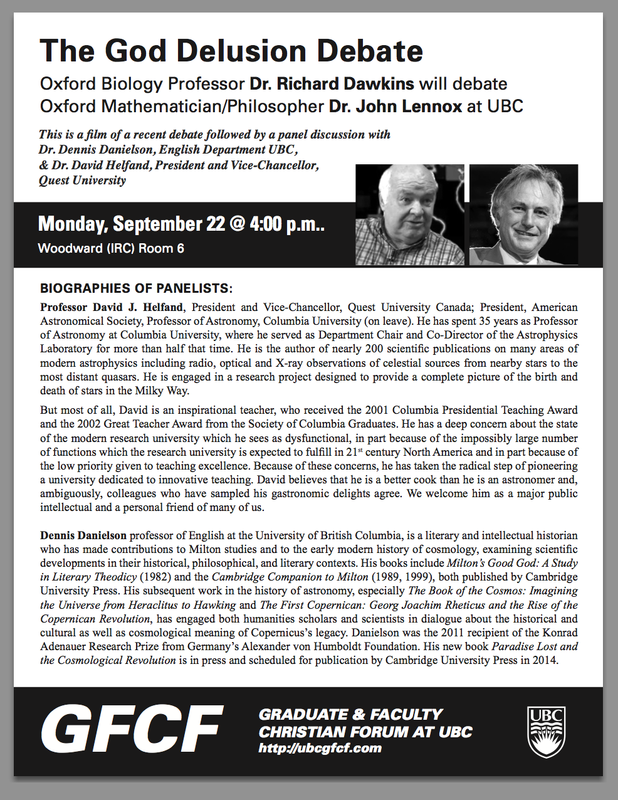 Our first public forum in on September 22, at 4:00 p.m. in Woodward 6: a debate on the relationship between science and religion by Richard Dawkins and John Lennox, two prominent Oxford University professors. We begin a Thursday night Bible discussion in our home on September 25 on the book of II Corinthians. Of course, as people get to know each other and share interests, other fun things automatically emerge: brunches, bike rides, book studies, coffee discussions, and prayer. We think GCU can be a significant strategy for you while at UBC. We look forward to hearing about your research passion and the questions you are exploring. You know that you have so much to add to this dynamic environment and conversation. A word of welcome and advice. This is my 46th year at UBC and I want to welcome you warmly to one of the top research universities in Canada. UBC is a highly competitive place and it takes some effort to make friends and to achieve a sense of belonging. The fact is that professors and graduate students alike are serious minded and dedicated people who often forget (and some have never known) that the fear of the Lord is the beginning of wisdom. Don’t be discouraged by the secularism of the university community and its apparent lack of interest in people of faith. Take the time to get to know your supervisor and recognize that a significant part of your future is in her (or his) hands. Whether he (or she) is a person of faith, they will have much to offer in terms of expertise and experience and the sooner you can develop a relationship of mutual trust the better. Seek out Christian friends and steward your time rigorously. Your time as a graduate student is privileged, but oh so short, and you will need to be deliberate in planning your daily schedule. May your time at UBC be rich in learning and rich in sharing. In this way, you will always look back on your time at UBC with gratitude.